Why, why, why? Because it’s all logic and reason now! Science, progress, chip-chip… Laws of hydraulics, laws of social dynamics, laws of this, that and the other… No place for three legged Cyclops in the South Seas… no place for cucumber trees and oceans of vine… no place for me! Susan at Istros books is doing a great job bring wonderful new books from the Balkans and surrounding regions ,here she has brought us Alek Popov a rising star of Bulgarian fiction ,Alek Popov he got a degree in Bulrgrian Philology from Sofia university , he has worked as an editor ,also as cultural attaché to the Bulgarian embassy in London for a time .He has written 11 novels and was elected to the Bulgarian academy in 2012 for creative arts .Mission London is his first novel to be translated to English and is also a successful film . The managing director of famous connections seized the Ambassador’s hands and proceeded to shake it fiercely . So Mission London follows the new Ambassador at the Bulgarian embassy , this guy Varadin has been thrust from nowhere really to this prestigious job as a stepping stone for a bigger political career .Now the problem is he has some hard tasks to try to do for his bosses back home ,The wife of the current prime minister wants to meet the queen for a banquet .This leads him to a dodgy pr firm ,he meets a Princess Diana double Katya ,whom he employs first as a cleaner then when he discovers she is the Diana double things take quite a strange twist for her and Varadin .Then there is the hunt for food for the meal ,the chef he wants swans but through a Russian Mafia connection ends up with ducks stolen from the royal park that the police can track .Add to this the keeper of the ducks ,Russian Mafia bosses and a fake queen .A story that will have you laughing and cringing at Varadin’s life in London . “Whats wrong ?” Ray’s voice sound stressed . 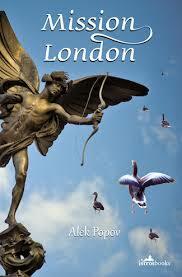 The ducks are stolen from the Royal Richmond Pond to go in the ovens at the Embassy . Now I loved this one it was a book I started put to one side and then Last weekend decide to start again and read it in a couple of sittings especially after watching the trailer for the film .As you see in the trailer the book is rather like A Bulgarian take on a guy richie film ,multiple plot-lines ,bending the real world just enough that it is absurd but believable .It also is a remind of the Humour in Bulgarian lit ,I have come across before in the other book from Bulgaria I have reviewed here circus Bulgaria by Deyan Enev , a dark mix of satire and black humour that is similar in this book .If you like the greats of British Political satire television you will love this book it is one of those books that every turn sees another disaster around the corner another near miss .Another gem from Istros books .here is the trailer for the film . 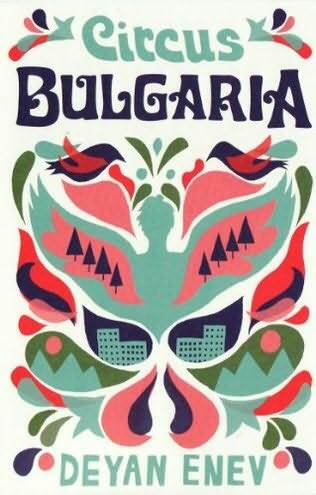 Have you a favourite Bulgarian read ? Deyan Enev is one of a new wave of Bulgarian writers to emerge ,HE was born in Sofia ,married and has had a number of interesting jobs painter ,night nurse ,school teacher and Journalist .He has won Bulgaria’s premier literary prize .I first heard him Talk about Circus Bulgaria on the world service radio and was grab by the man and his book so ask for a review copy .The book centres mainly on people living in and around Bulgaria’s capital Sofia .The book is what may be called a collection of flash fiction pieces ranging from a couple of pages to some over ten pages .as you jump in and out of these lives you find a group of people struggling in the hard times post communism in .they range from gypsy to circus people to little boys .we meet a lion tamer forced to sell his lion to some villains ,A fighter turned hit man .and a personal favourite that made me laugh for a number of days after I read the book ,a man finds a boy wander in the grass in the night ,ask him what he is doing hunting hedgehogs a discussion follows on the reason for hunting hedgehogs very surreal and funny . Hi, Krum said , and managed to light a cigarette .he drew on it and tried to look casual . hi ,the boy said .can you keep quiet ,please ? why ? krum had already forgotten about being casual . I ‘m hunting for hedgehogs the boy explained .on a full moon ,there are always lots of hedgehogs .I had a hedgehog at home once .He was character .he kept poking his snout in the kitchen .but you know ,it’s a lie what they say about hedgehogs that they can dance to music . The book remind me in parts of Raymond Carver’s short stories ,the characters are similar they like a drink like many of Carvers characters and also are on the fringes of society like carvers tended to be ,there is also a wonderfully surreal edge to some of them bizarre accounts and weird people .It conjures up a melting pot of a city in Sofia .If this is the first of a wave of Bulgarian writing I look forward to the others ,Deyan Enev is a fresh new voice to these shores and a welcome one ,this has to be one of the most stunning debuts I ve ever read .The book is translated by Kapka Kassbova. 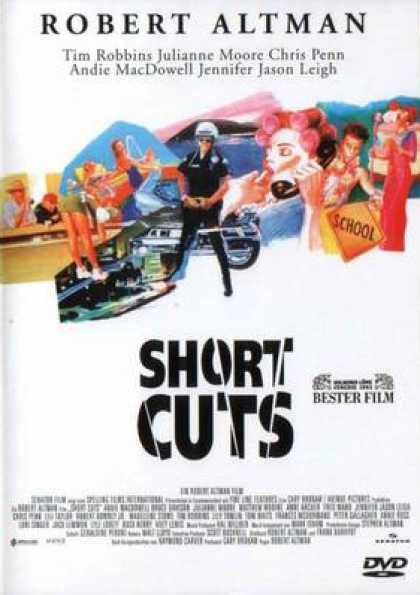 Well I ve found it hard to find an image to Fit this book but this sentence may sum it up .If Robert Altman’s short cuts had been moved to eastern Europe and scripted by the team behind League of gentlemen !